Disney Movies comes to Dish TV subscribers in India! Disney Media Distribution India has extended its strategic partnership with Dish TV to bring Disney’s portfolio of world-class movies on-demand to subscribers of Dish TV, one of Asia’s largest Direct-To-Home satellite television providers. Dish TV subscribers can now enjoy a range of current and library live-action and animated features on a pay-per-view basis. These movies will be available to Dish TV subscribers across India in a choice of up to four languages – English, Hindi, Tamil and Telugu. The selection of movies includes the two latest billion-dollar box-office hits “Alice in Wonderland”and “Toy Story 3;” as well as recent favourites “Prince of Persia” and “The Sorcerer’s Apprentice”. Over the next few months, viewers can also look forward to enjoying highly anticipated releases from Disney such as “TRON: Legacy” and “Tangled”. In addition, a number of evergreen blockbuster library titles will also be made available to Dish TV subscribers. Dish TV offers six Movie On Demand (MOD) channels, which include four Premier Hindi on demand channels offering the latest Bollywood / Hindi blockbusters, one English Movie channel bringing the latest Hollywood blockbusters and one Hindi MOD Non Stop channel. Disney Media Distribution licenses features from the Walt Disney Studios to linear television channels and on-demand digital media platforms across the world. The Walt Disney Studios is one of the leading Hollywood based movie studios which produces and distributes motion pictures globally from the Walt Disney Pictures, the Walt Disney Animation Studios, Pixar Animation Studios, DisneyNature, Touchstone Pictures as well as Marvel. Mahindra acquires SsangYong! A step to creating an international presence? Mobile Internet in India continues hectic growth! 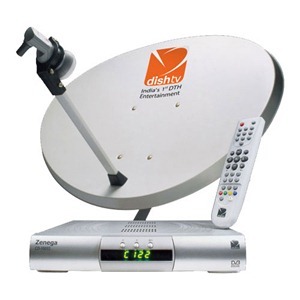 Dish TV is now Asia’s Largest DTH Service!